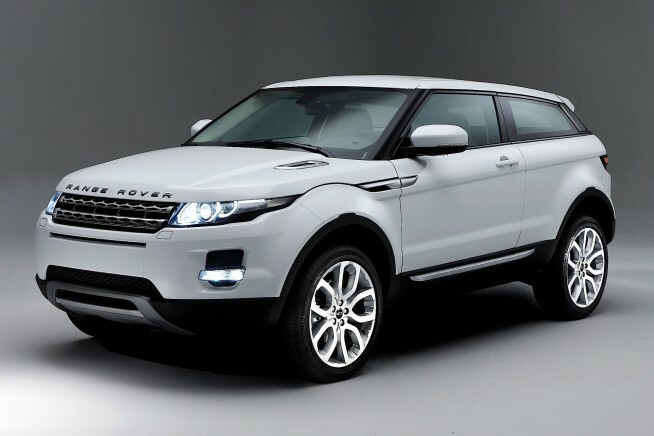 As per our experience, Range Rover Evoque is one of the best selling and hot SUV car in its class. Impressed their buyers for its great quality and practicality. Since it launched in 2011, it quickly established as Land Rover's top selling car. Land Rover gives you the option to choose your Evoque between the three door and five door version in choice of 2.0 litre petrol or two 2.2 litre diesels. There is no doubt, the Range Rover Evoque is a very stylist, sporty and impressive looking car that stand out from the crowd. The slopping roofline and muscular shoulders brings a very athletic appearance to Evoque. We loved its front chunky bumper and thin headlights that looks very sporty. What's more you want, when Evoque gives you ultimate 12 body colours options, three different roof colours and seven wheel designs. On the inside, you can get the upmarket feel and classy interior. All the models gets expensive looking touch screen, heated front seats, grained leather seats, driver seat and steering wheel adjustment as standard. The large door mirrors gives an impressive view outside. Overall the interior is built with quality of the materials. You can also make Evoque to feel more special with its optional panoramic glass roof. The generous kit also includes an 11 speaker Meridian sound system, dual-zone climate control and the ambient LED lightning can be configured the cabin in a red, white or blue glow color. "Engine options include a 2.2 litre petrol and two 2.2 litre diesel engines." The 2.0 litre petrol engine is the fastest model, accelerates 0-62 mph in just 7.1 seconds and has a top speed of 135mph. However it not good in fuel efficiency wise, limited to offer 36.2mpg. We would recommend the 2.2 litre two wheel drive diesel model offers great fuel efficiency of 56.5mpg and emits 133 g/km CO2. The Evoque has very quick and accurate steering, have pulled off something a bit special here. The bumpers does a great job in all terrains. Evoque offers great driving experience and capable all around town in all weather conditions. The three door versions looks better but five door versions sounds more practical. Five door model is 40 mm higher, means more passenger headroom and legroom. The Evoque has several cup-holders, door bins and a large lidded cubbyhole in the centre console. The five door model has decent 575 litre boot space which is 25mm higher than the three door versions. the good thing is the load area is well shaped and the rear seats are foldable almost completely flat. It's a Land Rover car so safety comes as standard without any doubt. The Evoque has a all good range of safety features makes Evoque strong enough. The car is fitted with advanced airbags, electronic stability control and seatbelt reminder. The driver assistant features comes as standard including road sign recognition camera, a lane departure warning, advanced braking system and surround view camera. Overall, the Range Rover Evoque is fantastic vehicle that you should give a serious consideration, if you are looking a sporty SUV.